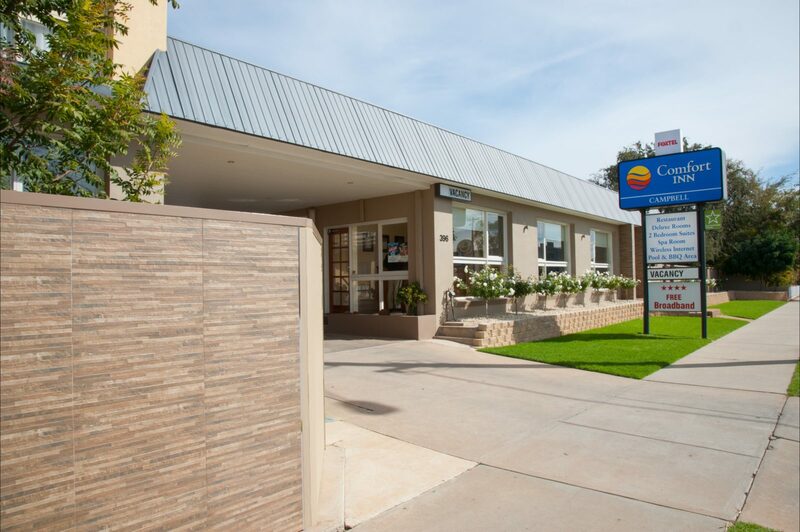 Welcome to the Comfort Inn Campbell, Swan Hill’s accommodation at its best. 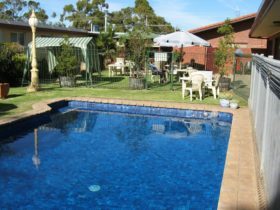 Situated in Swan Hill on the Murray River and only a short drive to Lake Boga and Lake Charm, Comfort Inn Campbell offers four star accommodation in Swan Hill, with all the quality facilities expected of a four star motel by today’s discerning traveller. 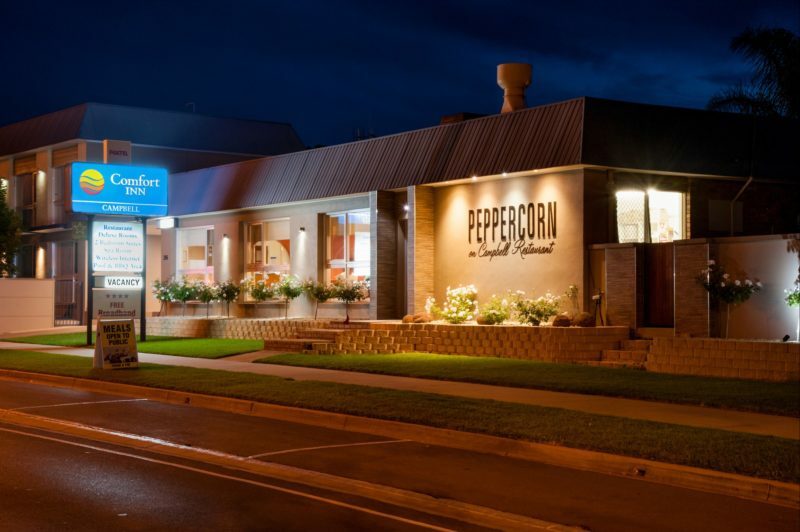 Enjoy a meal and a glass of wine from one of the Murray River’s boutique wineries in their refurbished and fully licensed restaurant Peppercorn on Campbell, where all meals are fully prepared in house. Located within walking distance to the Pioneer Settlement where guests can step back into yesteryear, or enjoy a cruise on the paddle steamer the P.S. Pyap, or take in the evening light and sound show. Visit local wineries or the local olive and nut farm and taste their fresh produce. Stroll to the giant Murray Cod then take in the pleasant surrounds of the riverside park. 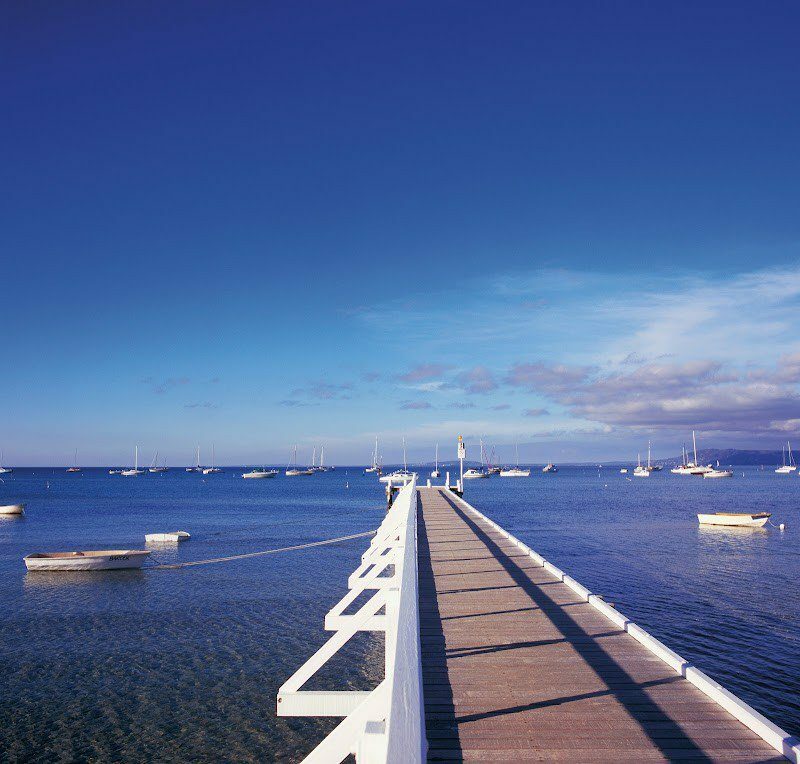 Further afield is the Catalina Museum, or water sports at one of the local lakes. Murray Downs Country Club offers first rate bowls and golf facilities. Fish for a legendary Murray Cod. The best room in the house. 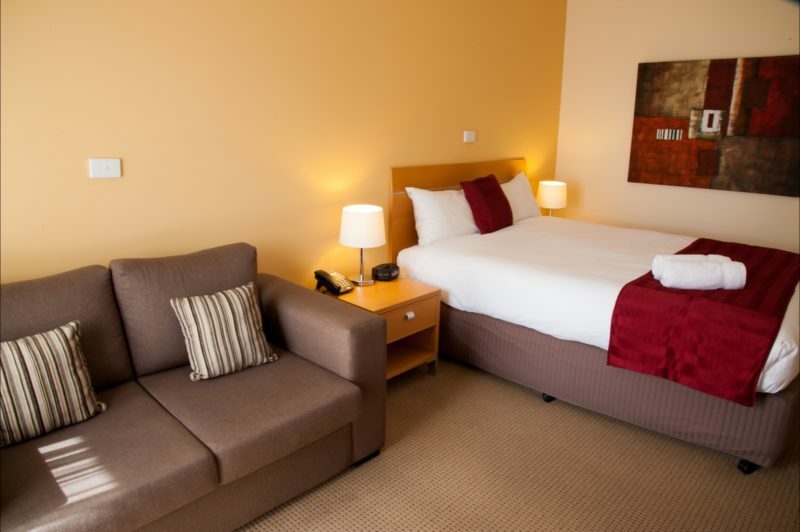 The newly completed executive rooms provide the best accommodation in Swan Hill. One queen bed, air conditioning, mini bar, sofa, table, DVD/CD player, eight channel Austar. and free wireless internet. The Family rooms consist of two bedrooms, with one queen bed and two singles. Renovated with new bathrooms, they comfortably accommodate four people. Features include 61 inch LCD television, DVD player, microwave, cutlery, toaster, tea and coffee facilities. Free wireless broadband and Austar. With new bathrooms, the standard rooms provide a basic clean and hygienic motel room for your next stay. Enjoy free Austar and free wireless broadband. All standard rooms have queen size beds. Newly renovated spa room with a large two person corner spa, accommodates a maximum of two. Has a 61 inch LCD television and DVD player which can be viewed from the spa. With a new queen bed, modern clean decor this provides the ideal romantic getaway. 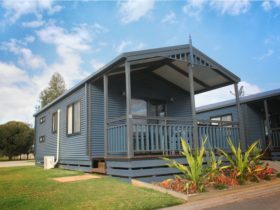 Includes free wireless broadband, free Austar and a bottle of sparkling wine on arrival. With new queen size beds, the renovated Deluxe Rooms, provide a clean and modern room for two people. Rooms feature modern decor, with quality fittings, LCD screen television, DVD players and much more. The renovated Two Bedroom Deluxe Suites offer fantastic accommodation for up to four people. Consisting of one queen size bed and two singles in two separate bedrooms with a common lounge area. New split system air conditioning, mini bar, fridge, tea, coffee and toast making facilities, microwave, DVD player and large LCD television. Free wireless broadband and free Austar.